Step up into a truck that has the qualities to meet your expectations head-on and reward yourself with a Dodge Ram 1500 for sale near Athabasca. With an assortment of models that aim to impress, the team at Bonnyville Dodge is ready and eager to get to work narrowing down the options until we find you the best Ram for your needs. With various cargo bed lengths, interior space options, class-exclusive features, and much more, well, you’re in good standings with this premier truck company. Work with us today and let’s get you a Ram 1500 that has everything you could hope for and more. This may be a tall order, but with the right assistance from our experts we’re confident you’re going to be able to find what you want and drive home what you deserve! There’s a lot to love about the Ram 1500, including the fact that you can choose its Best-Selling Engine, the 3.6-Litre Pentastar VVT V6. What does this intriguing vehicle have to offer? How about 305 horsepower and 269 lb-ft of torque along with outstanding fuel economy. Do you need even more power? Good news! 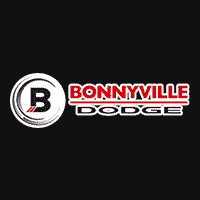 You’ll definitely find options when you work with the team at Bonnyville Dodge. Check out the Dodge Ram 1500 for sale near Athabasca with available 5.7L HEMI® V8 produces an impressive 395 horsepower and 410 lb-ft of torque for a towing capacity up to 4,826 kg (10,640 lb). Not only is the 5.7L HEMI Canada’s best-selling V8, based on the past 6 years of registration data, it’s also the heart of the Canadian Truck King Challenge winner for 2017. Explore the world with the right vehicle to make your life more engaging and more entertaining.